Established in 2004, Music by the Mountain presents world-class live classical music performances and school outreach in Siskiyou County. In recognition, Music by the Mountain has been awarded multiple grants by the California Arts Council (Artists in Schools), the Siskiyou Arts Council, and the Shasta Regional Foundation. Laura Dahl is an accomplished classical pianist who has performed at Carnegie Hall, the Berlin Philharmonic, San Francisco’s Davies Symphony Hall, and at music festivals in the United States and abroad. Currently, she is a member of the music faculty at Stanford University, where she teaches collaborative and solo piano, chamber music, and art song interpretation. trombone with the College of the Siskiyous (COS) Band and sings with the COS Concert Choir. In addition, he organizes and directs the Dunsmuir Community Christmas Choir each year. Ray Huston is a retired teacher and counselor from Mount Shasta High School. He has lived in Siskiyou County for 45 years. to bring extraordinary performances to our area. 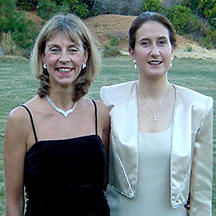 Sally Collord Johansson is a pianist and classical organist based in Siskiyou County. She organizes local Chamber Music musicians for private concerts and public noontime concerts. More about Cate in the spring newsletter!